Odd one out? 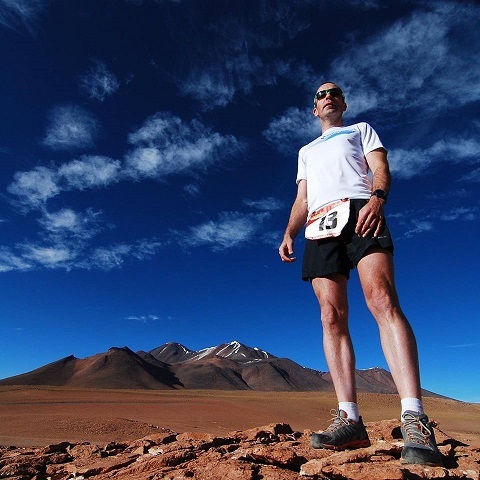 John Geesler is a good friend of UltraRunning Ireland. 48-Hour World Indoor record holder Tony Mangan is now 100 days into his 'World Jog' and recently met USA ultra legend John Geesler in New York. Tony has run the equivalent of over 85 marathons in 82 road days or more than 3,600km (2,250 miles) since October's Dublin Marathon. Why? He is fulfilling a long time ambition to run around the world. His understated 'World Jog' has already seen him cross both Ireland and Newfoundland; Nova Scotia and New Brunswick in Canada; and Maine, New Hampshire, Massachusetts, New York and Pennsylvania in the USA. Tony's official indoor world record for 48 hours stands at 426.178km and during his 48-hour running career he had several great duels with John Geesler, a multiple USA champion. John, pictured above, travelled with the Irish 24 Hour team from Paris to Brive to compete in the 2010 World 24 Hour Championships. A song has now been penned in Tony's honour by John-Michael Field of Wilbraham, Massachusetts. Please click here to listen to The Irishman Upon Your Floor (The Ballad of Tony Mangan) . See Tony's very entertaining blog at The World Jog.